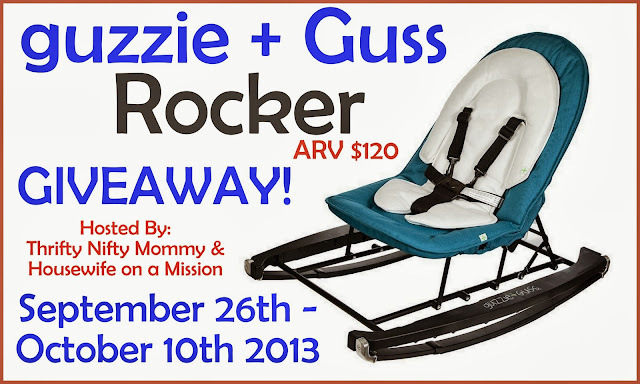 Welcome to the guzzie + Guss Rocker giveaway, hosted by Thrifty Nifty Mommy & Housewife on a Mission! Thrifty Nifty Mommy recently had the opportunity to review this rocker. You can click here to read her review. I love the colors available & this would make a great gift if you can't keep it for yourself! A modern look at the rocker; guzzie+Guss have brought a sleek and modern design to the traditional infant chair. The G+G401 Rock is easily folded down flat for storage or transport. With 3 position recline, cotton body hugger, and the cool factor, your infant will be rocking out with our newest addition to the guzzie+Guss line up. 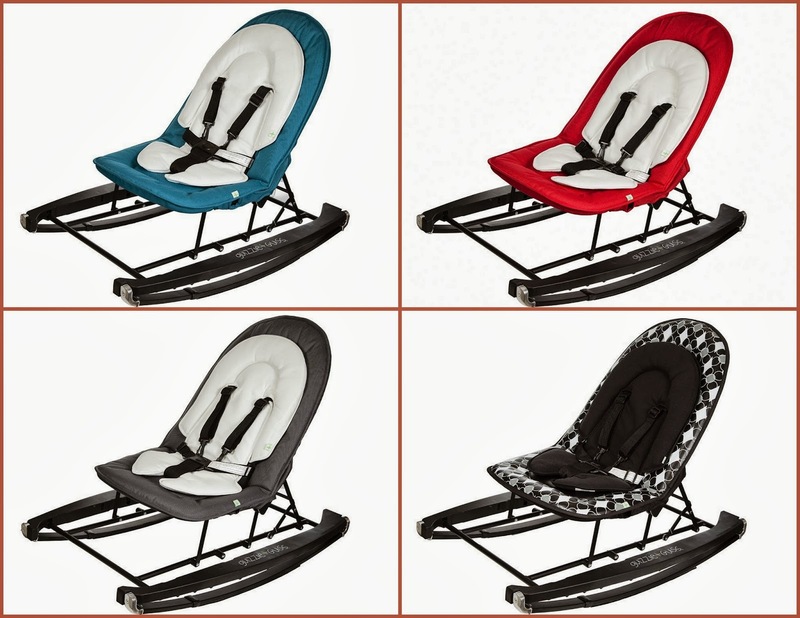 This rocker comes in 4 fun colors: Charcoal, Red, Aqua, & Pebbles. To find out more about guzzie + Guss, Visit the guzzie + Guss website then make sure you like guzzie + Guss on Facebook and follow them on Twitter at @guzzie+Guss. One lucky person is going to win a guzzie + Guss Rocker! Open to the US and Canada only. Ends 10/10/13 at 11:59 PM EST. Disclosures: This promotion is in no way sponsored, endorsed or administered by, or associated with, Facebook. Thrifty Nifty Mommy and the participating bloggers have not been compensated for hosting this giveaway, nor are they responsible for prize fulfillment. Giveaway is open to residents of the US & Canada, age 18+. Giveaway will close at 11:59PM EST on 10/10/13. One (1) winner will be selected randomly from all eligible entries. This giveaway is part of the #FALLingForBaby event hosted by the Thrifty Nifty Mommy Blogger Network! Look for the hashtag or the above picture for more review & giveaways! I would love to have the Caribou Stroller (G+G 102). This is a perfect size and I love the black and white one. I like to win this for my son who will be here in January. A first time mommy to be I am so excited and filled with joy.